10 facts – 4 Scenarios for the End . Spain needs 100 billion, in a first step, for the needs of banks. These funds can not Spain find them from the market. If Spain request funds from the EU, Germany will ask Spain’s accession to surveillance. 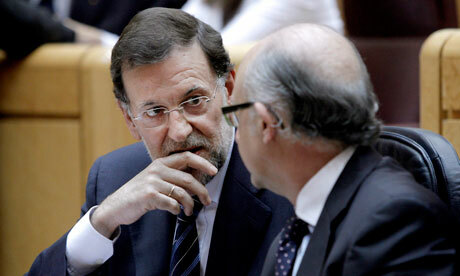 Spain is not going to sign pact austerity because the Spaniards will revolt. If Europe say that Spain –for any kind of reasons– is a different case from Greece, Portugal, Ireland and provide liquidity without the same kind of Memorandum with the rest of the counties that are already under surveillance then Spain solves its problem and EZ gains a big , unsolvable problem. If Spain does not placed in a memorandum (guardianship) will claim the same and Ireland and Greece and Portugal. This will not be accepted by the countries of the EZ. Countries that are in surveillance will put VETO (A sure winner of the elections in Greece, Tsipras(SYRIZA), will ask after his victory, the same deal with Spain.The Irish, who have the same problem with the Spaniards will react violently.Markets will frighten and will attack hard in Spain, what a surprise … after the flatten Spain they will bankrupt AND Italy). 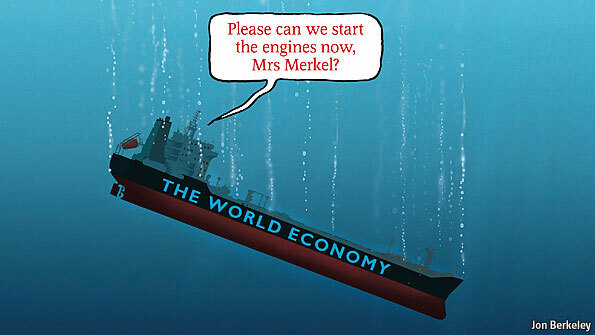 The EZ is collapsing – dissolves and with that goes AND the global financial system. 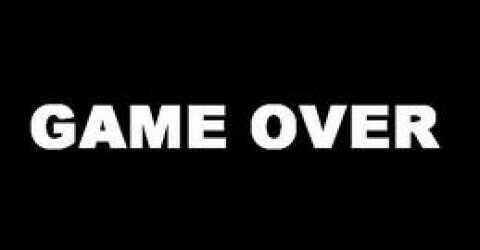 The U.S.A. , China, Russia and Japan closing their markets and trying in any way they can to protect their citizens from absolute destitution. Because today the economy is global , no one can protect , in any way, their national economy. All national economies are collapsing. After the events begin the scenarios! Obama postpone the elections in the U.S.A. , in response to national security. To persuade people to accept it, the American fleet blocks the ports of Shanghai, Hong Kong and the Russian ports of the Pacific and the North Sea. The Chinese and Russians react … and … we have nuclear war. Russia, China and the U.S.A. are afraid of each other and try to control their populations. Cease all contact with each other. Nobody makes the first step (cold war situation). The countries entrench their borders. A new middle age begins. Small local wars break out (Greece – Turkey, Israel – Syria, Albania – Serbia, India – Pakistan, Somalia – Ethiopia, Venezuela – Colombia, England – Argentina, the former Soviet republics among them). Alliances developed and the war is generalized . All against all. Poverty, lack of food and drugs lead to internal riots and revolutions in all nations. All democracies collapsed and dictators – gangsters take the power of nation states. To unite their citizens strengthening the nationalism and starting wars with neighboring states. -Some people will turn to the help of god. -Some people will join robber gangs. -Some people will create autonomous communities. All of these seem far away ? I fear that the journey is SHORT (perhaps before the end of the summer) and one way. If it is to get in such situations it is advisable to know who drove us up there. We came up here because of the human thirst for distinction and power. We came here as a result of brutal capitalism. We got here as a result of the bankers and their greed.